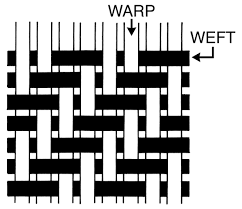 In weaving, a float is where a thread skips going “under” (or an “over”) and carries across 2+ threads. They can be weft floats or warp floats and they can appear on either side of the cloth. While they are used for patterns and textures, they are also an integral part the two other main weaving structures; satin and twill. Satin is largely floats and that’s why it’s so smooth; the floats are only caught down occasionally. While twill is based on short floats that are slightly offset with each repeat, giving it the diagonals it’s famous for (think of denim). 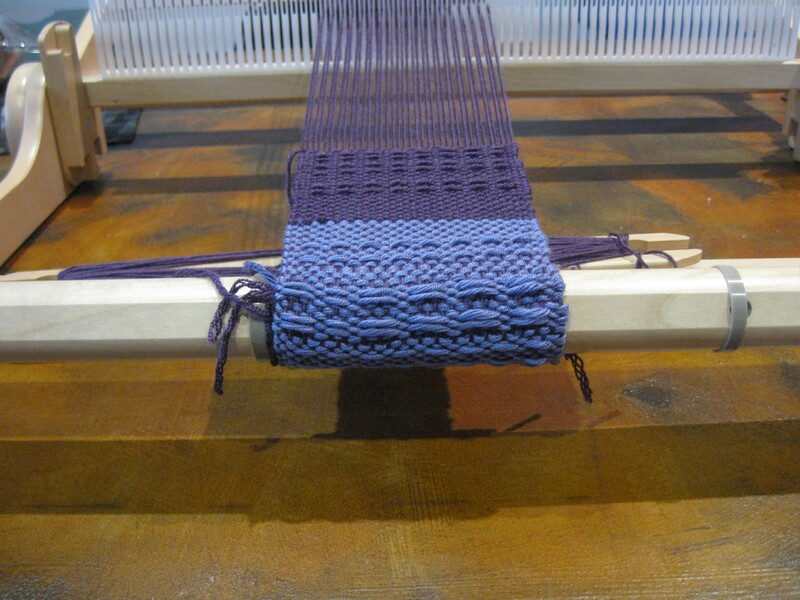 In a way, plain weave is the odd structure out for having no floats at all! 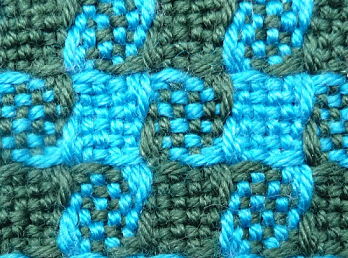 While satin and twill are structures, not patterns, a lot of “colour and weave” patterns use floats to give different effects. Here is one of my favourites – pinwheels – where the curvy, spinning effect is created with a few well-placed floats. Keep in mind that the longer the floats, the less stable the structure of the cloth will be and the more subject to abrasion. Also, the more likely that baby’s fingers/toes and other things can catch on them.